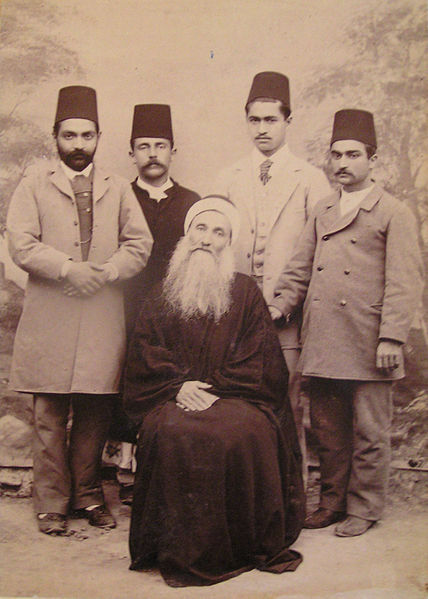 Fazl’s testimony is important because he is quoted as an authority in Baha’i literature. For example, see J.E. Esslemont, Baha’u’llah and the New Era.Wilmette, IL: Baha’i Books, 1923, Revised edition 1970, 1976, 1978 edition, p. 113, hereafter:Esslemont). Another authority that Wilson quotes (Wilson, p. 204-205) is Professor Edward G. Browne who is frequently quoted in Baha’i literature, particularly because of his description of a meeting he had with Baha’u’llah, and his friendship with Abdul-Baha. For example, see “The Baha’is: A Profile of the Baha’i Faith and its Worldwide Community”[magazine format]. Baha’i International Community, Baha’i World Centre; Haifa, Israel, 2005, pp. 21, 57. “The Baha’is are impaled on the other horn of the dilemma also, for, as Professor Browne says (‘Mirza Jani [‘s History]’, p. xxxiii.) ‘The difficulty lies in the fact that Subh-i-Azal consistently refused to recognize Baha’s claim, so that the Baha’i is driven to make the assumption that the Bab, who is acknowledged to be divinely inspired and gifted with divine knowledge and prescience, deliberately chose to succeed him one who was destined to be the ‘point of darkness,’ or chief opponent, of ‘Him whom God should manifest’” (Wilson, 204). There are problems as a result of the foregoing. First, it shows that Baha’u’llah’s half-brother, Mirza Yahya rather than Baha’u’llah was the one chosen by the Bab to be his successor. Also, it shows that Baha’u’llah was dishonest, a strange activity for a manifestation of God. Finally, whenever, we read Baha’i literature that quotes the Bab as speaking of “Him who God will manifest,” it is not Baha’u’llah whom he had in mind. “All present were Babis (Baha’is) and we sat sipping our tea and whiffing opium.We sat talking late and smoking opium. The wildest ascriptions of deity to Baha were made when intoxicated with wine and opium” (Wilson, p. 215).